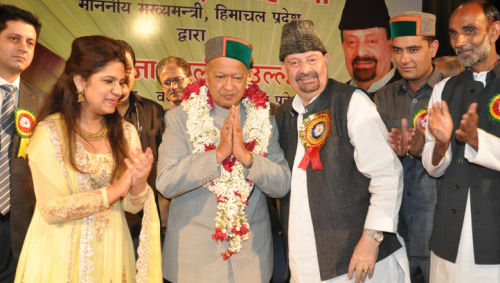 Chief Minister Virbhadra Singh attended “Samman Samaroh” organised by Muslim Community at Gaiety Theatre here today. While speaking at the occasion, CM announced to recruit 100 teachers each of Urdu and Punjabi languages to teach these languages in the Govt schools. He said that not only Muslims and Sikhs students but others students could also avail the facility of learning other languages. He said that during his last tenure Recruitment and Promotion Rules were finalised to fill up 100 each Urdu and Punjabi teachers to teach these languages to the students at school level. He said that due to announcement of Vidhan Sabha elections these posts could not be filled up. He said that though the previous BJP Government did not scrapped it completely, but instead of filling these posts on regular or some other basis, restricted their services on period based only and had filled 107 posts of Urdu and Punjabi teachers instead of 100 each. Chief Minister said that India has composite culture where all people of various religions live peacefully. He said that in Himachal Pradesh also apart from majority Hindu other minority communities such as Muslims, Sikhs, Christians and Bodh etc. live in harmony. He said that these communities were also contributing in the development of the State. 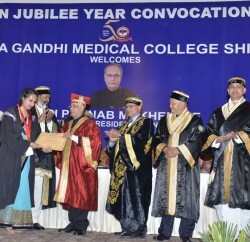 Virbhadra Singh said that Muslims were living in the state since more than one century. He said that people of all communities had been living here as fellow brethrens since past many years. He said that State government was committed to safeguard the welfare and development of all sections of the society. He said that Wakf Board and Haj Committees were re-constituted recently to facilitate the Muslim people of the State. 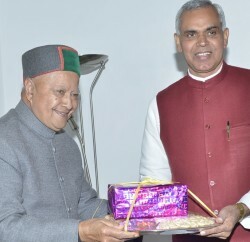 Chairman Wakf Board Himachal Pradesh, Khwaja Khaleel Ulla welcomed the Chief Minister and said that Muslim Community of Himachal Pradesh was indebted to Virbhadra Singh as he had not only re-constituted Wakf Board but also Haj Committee of the State within 8 months after taking over as Chief Minister. He said that Chief Minister has equal love and affection towards all people of the society and he was always considerate towards the interest of minorities. 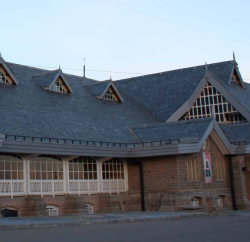 Chairman Haj Committee Dildar Ali Bhatt said that Muslim people from all over the State had came here in large number to attend the ‘Samman Samaroh’ as the present Government had reconstituted two important committees of Muslims. Chief Minister also honoured Abdul Ganni of Chamba who had donated blood 177 times on the occasion. Famous Kawwal from Hyderabad Warsi Brother’s rendered kawalis on the occasion. Vice Chairman H.P. Forest Corporation Kewal Singh Pathania, DC Dinesh Malhotra, SP Abhishek Dullar and other officers and prominent persons of the town were present on the occasion.